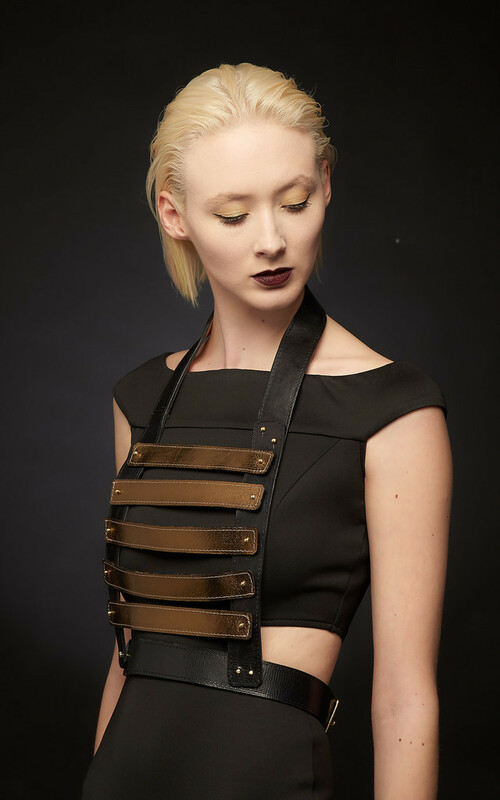 Made of moulded black leather harness/body piece ,antique gold leather front panels ,front metal fitting/studs and fully adjustable buckle in the back as fastenings. Hand crafted using traditional leather-working techniques, moulding the hide to a cast, so that it takes-up the shape of the neck. This method of construction ensures that the product hugs the neck and sits very comfortably on the wearer. Front stripe panels are fastened with metal studs and can be removed to change the style. 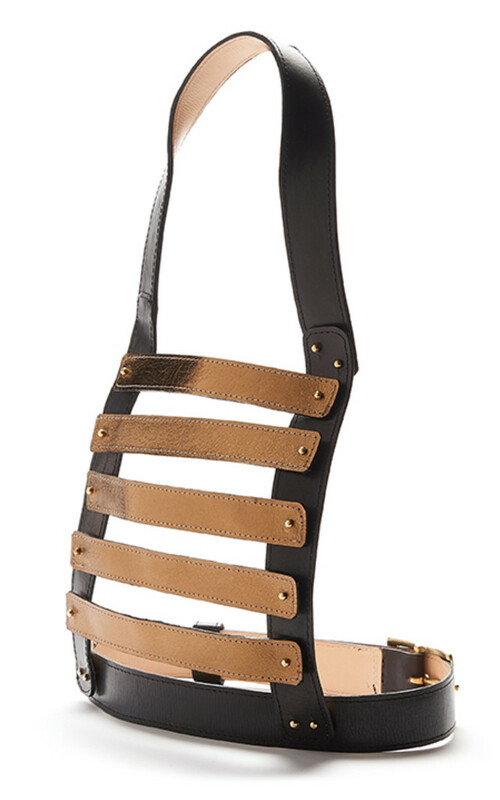 black and metallic leather with brass fittings.